Following is a review of when and how they should be used and formatted. 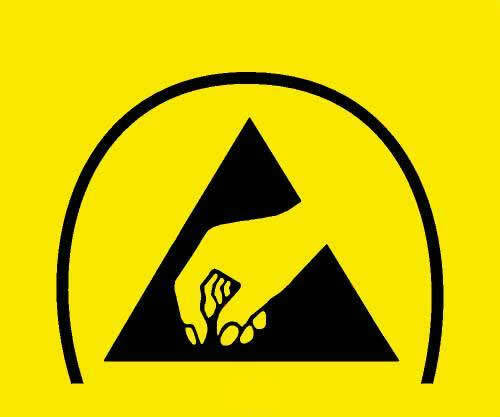 The ESD susceptibility symbol incorporates a reaching hand in a triangle with a slash through it and is used to indicate that an electrical or electronic device or assembly is susceptible to damage from an ESD event. Used to identify ESDS [ESD sensitive items] and that personnel should be grounding when un-packaging or handling that item. 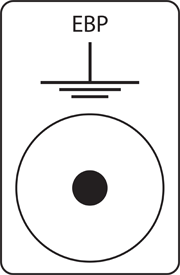 It is also referred to as the ESD sensitivity symbol or ESD warning symbol. The ESD susceptibility symbol should be used on assemblies and devices that have sensitivity to ESD events. The symbol may be incorporated on a sticker used to close or seal ESD protective packaging to indicate that materials inside the package are ESD susceptible. The symbol is a reaching hand with defined fingers and fingernail, in a contrasting triangle with a slash in front of the hand. The choice of color for this symbol is arbitrary. The color red shall not be used because it suggests a hazard to personnel. The preferred coloring is a yellow hand and slash on a black background. 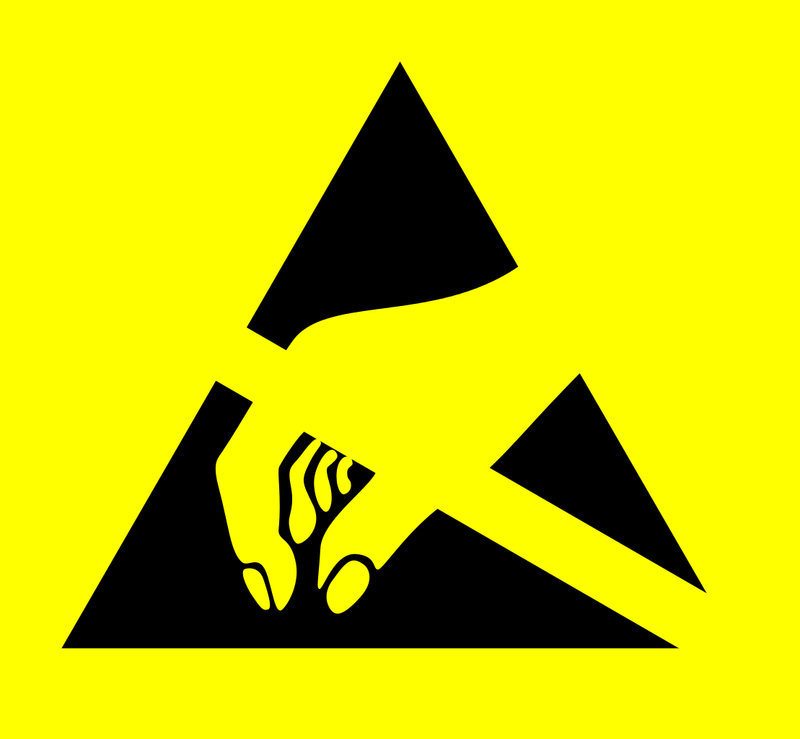 The ESD protective symbol differs from the ESD susceptibility symbol, by the addition of an arc around the outside of the triangle and the omission of the slash across the hand and the triangle. The ESD protective symbol should be used to identify items that are specifically designed to provide ESD protection for ESDS items. Examples of these are packaging, ESD protective clothing and personnel grounding equipment. The ESD protective symbol should also be used on items designed to replace static generative materials. Examples of these items are ESD protective work station equipment, trash can liners, and chairs. The item is to be ESD protective or non-static generative by design. The choice of color for this symbol is arbitrary. The color red shall not be used because it suggests a hazard to personnel. The preferred color is a yellow hand on a black background. “EPA” is meant to indicate the product is designed to be used in an ESD protected area. 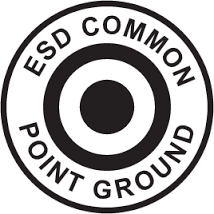 The ESD common point ground symbol should be used to indicate the location of an acceptable common point ground as defined by ANSI/ESD-S6.1. This symbol consists of a bold outer circle inside of which are the words, ESD COMMON POINT GROUND, in bold type. Inside that are two thick contrasting circles and one thick circle that may fill the center or extend to the center where a snap, plug or other fastener may be connected. The choice of color for this symbol is arbitrary but black or white on green is suggested. The color red shall not be used because it suggests a hazard to personnel.